High quality, fun & friendly classes and social dancing for dancers of all levels. 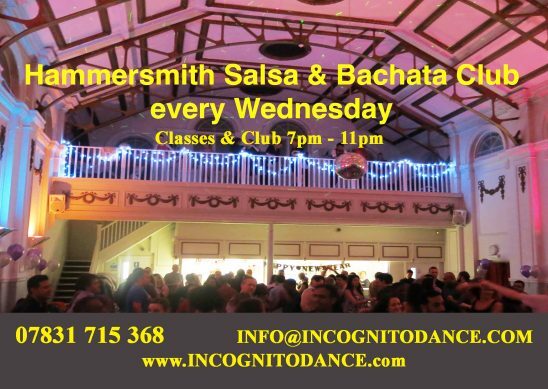 Plenty of great dancers to the best and latest Salsa, Bachata, Cha Cha and Latin grooves. Absolute beginners warmly welcomed, loads of new beginners every week. No prior bookings needed, just turn up and dance, no partners required.